Save money on scrapbook paper by using your scraps, purchasing coordinating paper stacks, and shopping with coupons. When you're a crafter on a tight budget, getting the cheapest scrapbook paper is a necessity. Cardstock and patterned paper are scrapbooking staples, but these items can quickly become quite expensive if you're not careful. 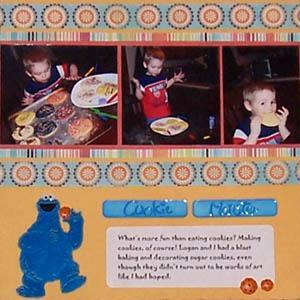 Finding the cheapest scrapbook paper for your layout requires creativity and flexibility. Unfortunately, scrapbooking has become a hobby that is often focused on acquiring the "latest and greatest" supplies. If you're scrapbooking on a budget, you need to look beyond this mentality to see the possibilities around you. With new scrapbooking paper constantly being released, it's often hard for crafters to resist the temptation to shop for more supplies whenever they begin a new project. However, savvy scrapbookers know that the cheapest scrapbook paper is the paper that's already in your stash. Use sandpaper to give a bold pattern a distressed look. Spray your paper with walnut ink for a funky vintage feel. Paint the edges of your paper with acrylic ink. Stamp a colorful border along the side of your cardstock. Apply a thin watercolor wash over the design to change the color of your paper to one that is a better match for your layout. Saving your scraps is another great way to cut the cost of your scrapbooking supplies. Purchase a large accordion file or scrapbook paper tote to use for sorting cardstock and patterned paper scraps. Sort the scraps by theme, color, or manufacturer and get in the habit of checking this file for paper whenever you begin a project. While finding cheap scrapbook paper in untraditional places can give your layout a one-of-a-kind look, it's important to realize that paper not originally designed for scrapbooking may not be acid-free. If you're concerned about archival safety, use duplicates of fragile photos or test your items with a pH pen. If you're relatively new to scrapbooking or simply don't keep a large stash of paper on hand, paper stacks provide a convenient way to get the cheapest scrapbook paper. For example, Die Cuts with a View has become a phenomenally popular brand for budget-conscious scrapbookers. This innovative company offers stacks of textured colored cardstock, as well as themed patterned paper stacks. For added convenience, the company even sells mat stacks that are pre-cut to fit 4x6 and 5x7 photos. Most scrapbook paper stacks have two or three sheets of each design, which is often too much paper for a scrapbooker who does single page layouts. If you're worried about not being able to use all of the paper in a paper stack, consider splitting the product with a friend. Large craft stores such as Hobby Lobby and Michaels Crafts often have significant discounts on individual sheets of scrapbooking paper. These chains also have coupons printed in the Sunday newspaper on a regular basis. Independent scrapbook stores often post sale notifications on their websites or send out flyers to preferred customers. Ask a sales clerk how your favorite store handles these special promotions. If you have a favorite online scrapbook retailer, sign up for the store's email newsletter to receive coupons and sale notifications in your inbox. Just remember to add the store's email address to your address book to avoid having the newsletter sent directly to your spam folder.